Good morning, Nashville. Not to state the obvious, but it snowed again last night. Since that’s all anyone seems to be talking about on the internet, we’re going to spend most of this post talking about it too. You’ve been warned! The 2 inches of snow that blanketed Nashville yesterday afternoon and evening have predictably caused a bit of chaos on our roads. 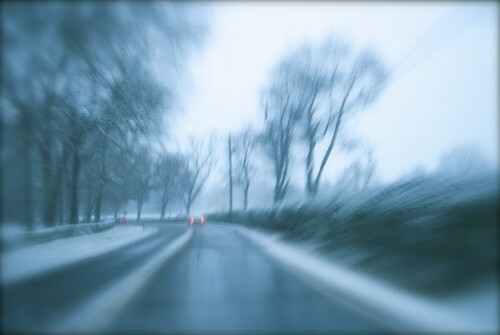 Low temperatures persisted throughout and after the snowfall, causing black ice and slick roads. The kids got another snow day. And the low temperatures are not going away. But not to worry! Kroger’s dedicated Storm Teams are working around the clock, overstocking their shelves with bread, milk, eggs and ground beef so that our snowed-in selves will not perish in the snowpocalypse (if you can get to the nearest Kroger, at least). P.S. : There might be another storm on the way. As long as we can keep our vuvuzelas. A new bill proposed by Metro Councilman Mike Jameson would ban megaphones and other sound amplifiers from city sidewalks, which could be good news if Westboro Baptist ever decides to come back to town. However, the First Amendment Center has looked at the bill and thinks it’s unconstitutional, and the bill is currently under further legal analysis.